Michelle Anton embodies the word, “influencer.” From her media roots in television, radio, producing infomercials and public relations campaigns, to her spirit of attaining unreachable goals– Michelle Anton is an inspiration to the American businessperson. She is co-author of the bestselling book, Weekend Entrepreneur: 101 Great Ways to Earn Extra Cash. In addition to being an expert on entrepreneurship, Michelle spent the past 15 years producing nationally syndicated programming for industry giants Dr. Laura, Leeza Gibbons, Danny Bonaduce and Montel Williams. And she was a freelance associate producer working on The Oprah Winfrey Show. Michelle has logged more than 20,000 hours of television and radio production on her watch. 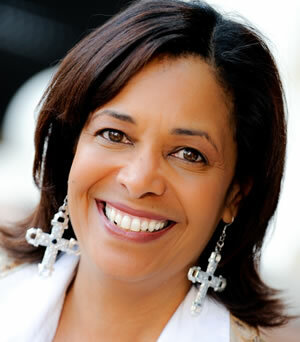 She knows how to reach the consumer in today’s media driven environment, creating a media coaching process called “Your Million Dollar Message.” A lively and sought after media expert and coach, Michelle has been interviewed on hundreds of major radio stations and television networks including CBS and Fox. Michelle’s writing skills and business expertise landed her a position as an Official Blogger for Entrepreneur Magazine– one of the most popular sites visited by the global entrepreneurial community. In 2009, Michelle reinvented herself. Working in sales and marketing as the Sr. Vice President of Operations for a global company. Her responsibilities included traveling throughout the United States and Canada, providing staff training and closing sales for the company. Michelle Anton‘s expressive communication style and platinum Rolodex are great assets to any project. Watching her in action is a testament to her professionalism and promotional aplomb: brokering deals, conceptualizing an idea, executing to successful completion—attributes she repeatedly does with great success, style and grace. How can you play a bigger role? What can you do in a your bathrobe? Calculators in Excel help with budgeting & prioritizing – fill in the variables and print. Write a professional business plan for your project quickly and efficiently. Organized system of sample business plan templates in Microsoft® Word, flexible Excel financial models, PowerPoint presentation template — can be downloaded as a Windows app or you can subscribe online. It’s the fastest and easiest way of turning your ideas into a investment-grade business plan and a successful business. Proven with banks, SBA, angel investors, and venture capitalists worldwide. 25+ years refinement. Professionally formatted. Windows / Macintosh. Be featured on the Business Black Belt radio show! How would you like to be a featured guest speaker on our radio show? The show will feature you and your business. You’ll be able to share the interview with all your current and future clients and a copy of the interview will be sent to you so that you can upload to your website, blog, citation sites and more.